Forest on the Big Island. Part of what makes the Hawaiian Islands such an alluring destination is its wide variety of landscapes. 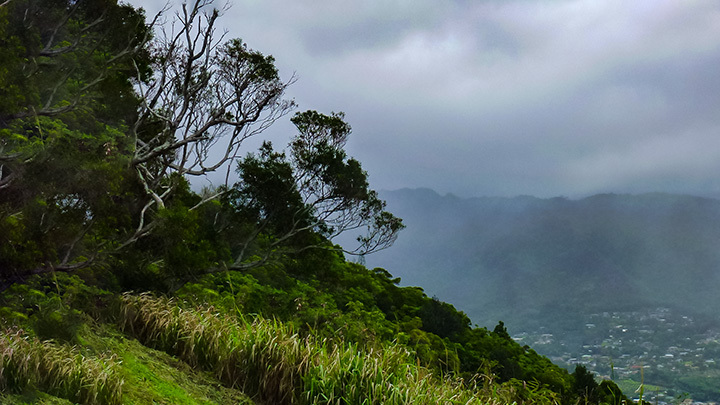 Some of the State’s most mysterious areas are the Hawaiian rainforests. Deep in its dense forests lies adventure and history for bold explorers to uncover. Every island has its own rich acres of Hawaiian rainforests. They come complete with streams, plummeting waterfalls, tropical plants and exotic animals. Whenever you plan your trip to Hawaii, be sure to add a forest hike to your itinerary. It may be difficult to imagine Hawaiian rainforests on a developed island as Oahu. However, there are several heavily forested areas on the island that would satisfy any intrepid hiker’s fancy. The Ewa Forest Reserve extends from the northern side of the island, down through the central eastern area. The Honolulu Watershed Forest Reserve is located on the south eastern end of the island. While the Mokuleia Forest Reserve curves along the western side of Oahu. Numerous companies offer tours through rainforests with innumerable waterfalls, dense woods and sparkling views. One such place is the Valley of the Rainbows. If you don’t like hiking, you can take the Blue Helicopter Company helicopter tour to see Hawaiian rainforests from the sky. Iao Valley State Park on Maui. Most know Maui for its over one hundred miles of colorful beaches. However, the forests on this island are also well worth visiting. 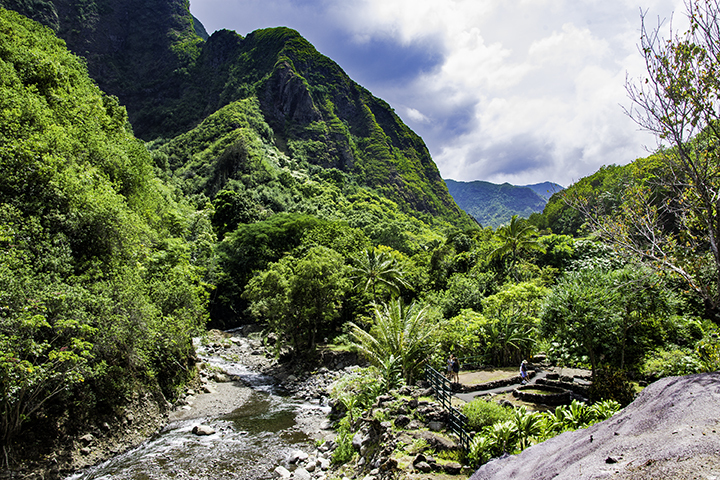 From the West Maui Forest Reserve to the Iao Valley Park, such regions offer a wide range of hiking experiences. Also in many of these areas, you can find historic landmarks and gardens. Along the Hana Highway, there is the Ko’olau Forest and Hana Forest reserves. Here, visitors can discover the Seven Sacred Pools or lunch alongside secluded waterfalls. On the central southern end of the island, there is the Kipahulu Forest Reserve where vacationers can hike alongside as well as swim in natural pools. 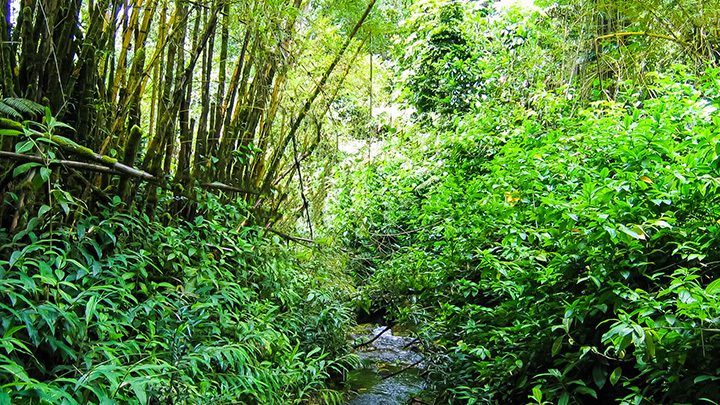 Also, you can take in verdant scenery by hiking through the Makawao Forest Reserve. Kauai’s forests stretch among canyons, rivers, jagged mountains and coastlines. Vacationers will understand why people call it the Garden Isle since every view comes with verdant forests and mountains in the distance. On the northwestern side of the island, are the famous Na Pali-Kona Forest Reserve and the Pu’u Ka Pele Forest Reserve. Visitors staying on the east and south sides of Kauai can enjoy the Kalepa Mountain Forest Reserve or the Nonou Forest Reserve. There is also the Moloa’a, Kealia and the Lihue-Koloa forest reserves on the northeastern side of the island. Some of the most scenic hikes include the Kuilau Ridge Trail and the cliff trail to Waipo’o Falls. The Big Island has many beautiful forested areas, such as the Kohala Forest Reserve and the Hamakua Forest Reserve. Here, you can visit Akaka Falls State Park which features enormous waterfalls and hiking trails through rainforests. While the Hilo Forest Reserve and the Hilo Forest Watershed Reserve offer views of picturesque pools, waterfalls and verdant forests. 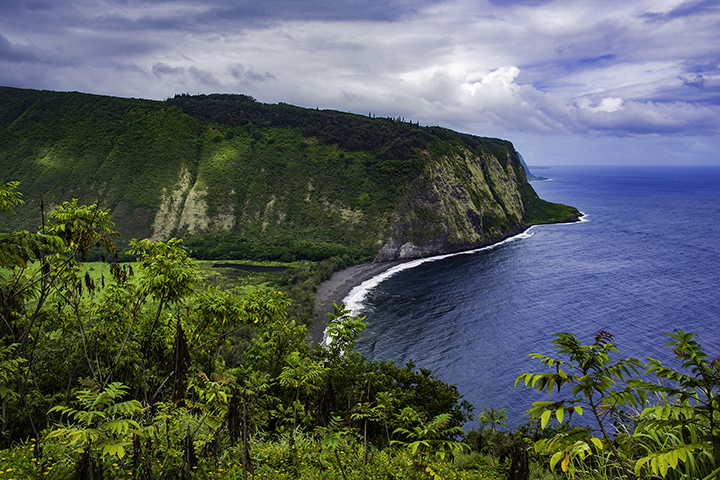 You can also explore Waiakea, Ola’a and Puna forest reserves. On the southern side there are the Kau and Waiakea forest reserves. The list goes on, as the miles of forest hiking trails on the Big Island are endless. Refer to our Big Island State Parks page for more details. The Molokai Forest Reserve is a part of the greater expanse on the central eastern side of the island. Here, visitors can enjoy staggering heights like the Waikolu Lookout over the rainforest. The nearby Kamakou Preserve is one of the most popular forest areas on the island, spreading over 3,000 acres. 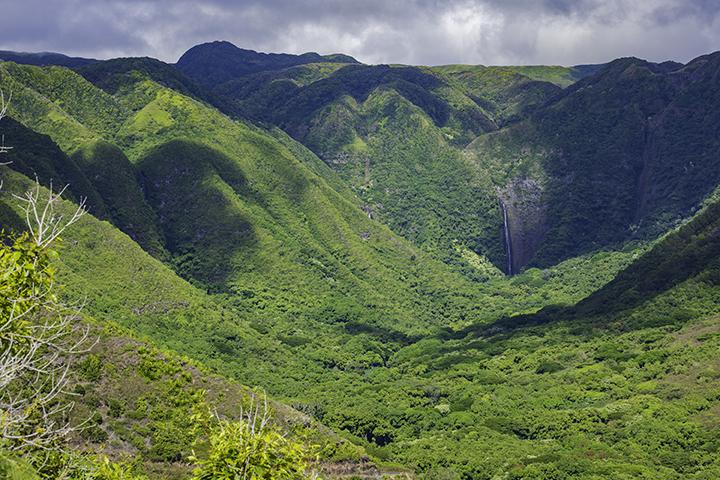 Because Molokai is so remote, not many visitors venture deep into its forests. This is probably good because it is the home to many endangered animals and birds. Among these are the exotic creatures are the Molokai creeper, the Molokai thrush and the emerald amakihi bird. Lucky hikers might have the chance to see these beautiful creatures in Molokai’s forests. With the highest cliffs in Hawaii, stunning valleys, mountains, coasts, waterfalls, rainbows, mysterious plants and unique animals, travelers to Molokai would be remiss to not explore its forests.